which makes you wonder: If they were so powerful, what took them so long to ascend to power? revelations from internal meditation (a potentially dangerous and heretical position during the Counterreformation). crucial in the development of the Jesuits’ reputation as missionaries, as members could be ordered to the far corners of the world to spread the gospel. tradition of being especially friendly to the sciences. earth and in hell, it is the Company of Loyola. became a sort of shorthand for criticism of the crown. therein with all the punishment that can be inflicted upon me on earth, and my soul shall be tortured by demons in eternal hell forever. A Jesuit berates children attending public, not private school. From O.E. 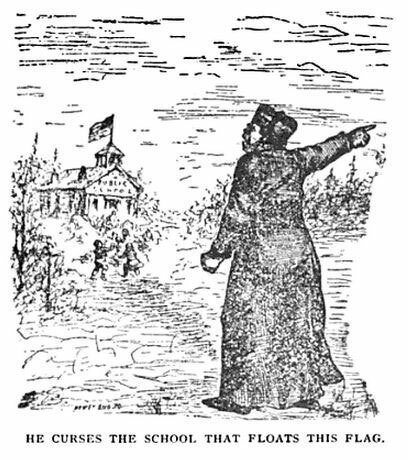 Murray’s The Black Pope, or the Jesuits’ Conspiracy Against American Institutions, 1892. House dogged Kennedy during his election campaign). Phelps has woven a narrative of the type Michael Barkun terms a “superconspiracy,” which is characterized by vast, nested hierarchies of hidden influence. crashed at Roswell, they put those little creatures in there.